Although many people do not think about funerals until they are faced with the death of a loved one, it is possible to pre-arrange one’s own funeral. For some, this is simply an automatic part of planning for the future, similar to taking out life insurance or writing a Will. For others, this pre-planning is done more out of concern for those left behind. If you have a funeral plan, your survivors will know what you wanted, and you spare them the difficulty of making decisions at a stressful and emotional time. 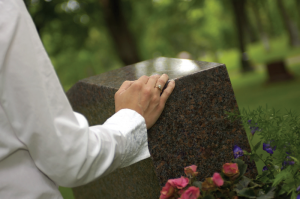 If you are considering planning your own funeral, you will want to ensure that you know your options and rights. This booklet will help. It provides important information about legal issues related to pre-arranging your own funeral and it can help you make some of the arrangements that will help your family and friends in the time following your death. You should NOT rely on this webpage for legal advice. It provides general information on Alberta law only. November 2013.